The Dam Is About to Burst! - The Rough Notes Company Inc. This past February some 200,000 people were warned to grab what they could and head for higher ground or risk being swept away by the collapse of the Oroville Dam, California’s second largest dam and the tallest in the United States. This catastrophe could have unleashed a 30-foot wall of water that would have swallowed up the towns and people in the valley below. 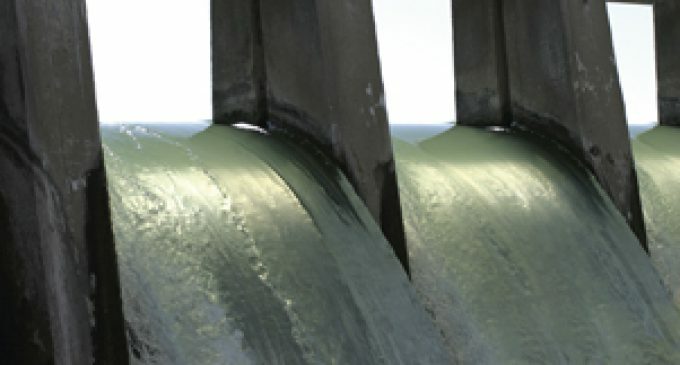 This event is yet another example of a potential risk management failure; it wasn’t the first time that concerns had been expressed about the breakdown of the emergency spillway. It was reported that in 2005 three environmental groups filed a motion urging the federal government to cover the auxiliary spillway with concrete. They insisted that erosion could cause a “loss of crest control.” Their pleas for action were ignored. Looking back, it’s clear this was a huge mistake, as a resulting catastrophic dam failure could consume both lives and property. An emergency response to shore up the dam ideally will be successful. For example, consider healthcare. When you ask a business executive about the biggest problems he or she faces, most put the cost of healthcare at the top of their list. All too often, though, they make the mistake of simply financing the risk with insurance while waiting for the dam to burst, instead of shoring up the dam while there is still time. In most cases they end up managing one of the most out-of-control costs in their business by relying on recommendations from their human resource manager, a benefits agent advising them while representing an insurance company that keeps everyone in the dark by providing incomplete claim data, or nobody at all. This seems totally out of whack. A lot has changed over the last seven years since Obamacare was signed into law in 2010. This year the entire law will likely be scrapped. One thing that hasn’t changed, however, is that healthcare cost increases will continue to outpace inflation. According to a recent study by the Kaiser Family Foundation and the Health Research & Educational Trust, from 2011-2016 health insurance premiums increased 19%, employees’ deductibles rose 63%, and wages were up 11%, all while overall inflation went up only 6%. This enormous gap between healthcare costs and the inflation rate results in a margin erosion that needs to be attacked with a vengeance if we are to prevent a total collapse of our current healthcare system. Wise employers are not waiting for the insurance industry or the government to solve this problem. They saw how well that “worked,” with Obamacare resulting in higher costs and an underwriting death spiral in the Exchange. This time they are taking matters into their own hands by launching a three-pronged attack on their costs before a claim happens, during a claim, and after a claim occurs. They know that high costs arise from disease brought on by health risks, so they are attacking the problem at the root—health risks—rather than waiting for insurers or the government to act. They are aligning themselves with progressive, educated insurance brokers who go beyond simply offering a one-year, fully insured solution and have a five- and 10-year strategy to control costs. These brokers help employers prevent claims by offering tools like wellness and safety programs to keep their employees healthy and safe at home and at work. Moreover, they have in place a strategy to control costs during a claim by educating and providing incentives for their employees to become better healthcare consumers. And they are controlling costs after a claim by helping employees and their family members manage chronic conditions such as diabetes and high blood pressure. Many large employers finance their risk by self-funding smaller claims and buying stop-loss insurance to protect them from larger claims. They avoid paying certain taxes and fees, as well as an insurance company profit, on a large part of their costs. They also avoid sharing the cost of claims coming from other poor-performing employers that don’t have a risk management process in place. Some medium-sized employers are using captives to pool with other employers that use a risk management strategy. This removes some of the volatility that a large claim could bring and allows them to realize cost savings similar to what larger employers enjoy. Small employers have fewer options but can safely self-fund their small claims under $10,000 through health reimbursements and Health Savings Account arrangements. This leaves a group of employers that keep doing what they have always done: accept the rate increase and pass all or part of it off to employees by increasing their premium contributions, deductibles, and co-pays. As trusted insurance advisors, can we really afford to wait for insurers or the government to solve this healthcare cost erosion, only to have the dam break and watch in horror as the free-market health care system gets swallowed up downstream? What we can do now is shore up the dam and save the town below. If we work together as agents, we can offer real risk management solutions instead of just selling insurance. By doing so, we can stem the tide before it rises.